Glancing quickly at a wristwatch to get the time is something you might do several times a day. What if you had to really think about it every time you checked your watch? 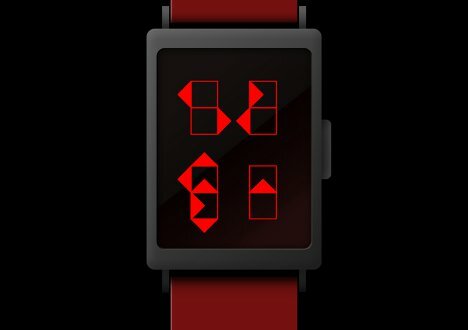 The Decypher Watch concept makes the simple action of checking the time a geektastic activity. 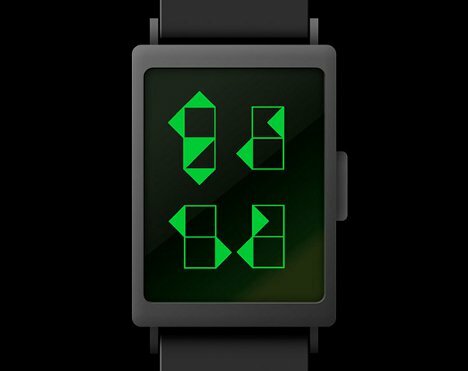 The display on the concept watch doesn’t present straightforward numbers. 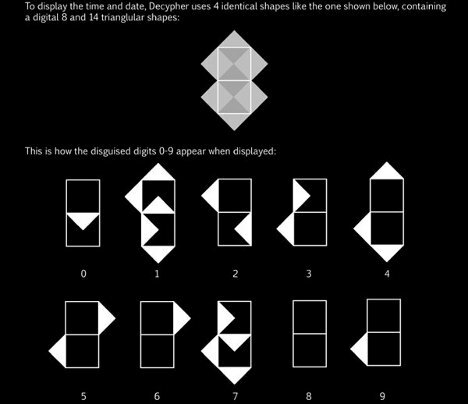 Instead, it shows a series of lines and triangles arranged in seemingly confusing patterns. Can you figure out the time displayed here? The formula for reading the time is a little easier than you might expect: you just disregard the triangles and look at the lines. 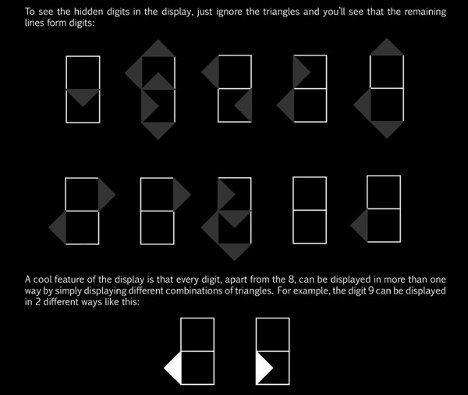 Of course, it takes a moment to mentally erase the triangles even when you know the secret. According to the designer, the watch is meant to appeal to people who enjoy puzzles, games, and sci-fi. It’s definitely an interesting interpretation of the plain digital watch face. It’s firmly in the realm of concepts right now, but this unique idea could easily become the next big thing in watch design. See more in Clocks & Watches or under Gadgets. February, 2012.